The advanced system information tool for PCs. Need to find out what's inside your computer? No problem! Speccy will give you all the information you need. Two or three years later, when it comes time to upgrade your computer, that tag or sticker may be long gone. 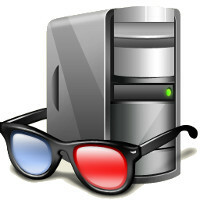 Speccy was designed as a free electronic "what's inside" sticker for your PC. Isn't this information in Windows? Yes and no. Some of the basic information can be found by right-clicking My Computer and then clicking Properties. The General tab lists some statistics, and the Device Manager on the Hardware tab lists all of the hardware you've got installed. But it misses out lots of information that you need.